Targeting African-American males in grades 9 - 12, the Alpha Achievers Program is a youth centered educational program jointly supported by Howard County Public Schools, the Alpha Foundation of Howard County and the Kappa Phi Lambda Chapter of Alpha Phi Alpha Fraternity, Incorporated. Operating in all twelve Howard County high schools, the program fosters a positive learning environment that encourages academic excellence and leadership development. Celebrating and recognizing Asian culture. Best Buddies is and international organization that promotes one to one friendships between people with disabilities and people without disabilities. Stop by room 248 contact Heather Clausen, Deborah Dotterer, or Tonya Miser for more information. The Mission of the Black Student Union Club is to ensure a viable resource to African American students and to others interested, to their parents and to the community. Our goal is to educate students about the African American culture and historical accomplishments through learning, acknowledging, and respecting those of the past. We promote a positive, nurturing, and safe environment to enrich all students so that the can be college and career ready upon graduation. We strive to motivate and enrich all by providing opportunities that promote excellence through diversity. Book Club is a great place for readers to come together and talk about great books! We meet every other Thursday with Mrs. Deborah from the Elkridge Branch Library in the Media Center Television Studio with Mrs. Lee. Meets every Thursday in the Media Center. Come to chess club to enjoy fun and relaxing games in addition to honing your skills. Open to all players regardless of experience or skill. Contact Mrs.McCoy in room 310 for more information. The purpose of the Class of 2018 is to raise funds and interest in class activities. The purpose of the class council is to raise funds, spirit and awareness of the 2019 graduating class. If you have any questions please contact Ms. Borleis at your earliest convenience. Using various props and movement the LRHS Color Guard adds to the marching band spirit during games and Long Reach events. Club for anyone interested in computers. For anyone interested in playing this role playing game with other fans. The Long Reach High School Environmental Club works to expose students and the community to a sense of environmental stewardship while giving them an increased awareness and appreciation of the multi-faceted impacts of human interactions with the natural world. Talk to Mr. Jacobs (Room 252) to learn how you can get involved with improving recycling, water and energy conservation efforts, ecological improvements at school, staff and student environmental awareness, and so much more! Join us for all things fandom! The purpose of the Long Reach French club is to teach students about French culture, enjoy French food, and gain an appreciate for the French language. FBLA is the premier organization for students preparing for careers in business and the largest student business organization in the world with a quarter of a million members. FBLA prepares students for "real-world" professional experiences. Members gain the competitive edge for college and career success. Meets on the first and third Wednesdays of the month at 2:15 in room B109. The Future Educators Association is a national pre-collegiate program that provides students with opportunities to explore careers in education. Sponsored by Phi Delta Kappa International, students have a variety of resources available to them including monthly newsletters, conferences, scholarships for prospective educators and a network of worldwide and local FEA chapters. Anyone interested in the field of education can be a member. The International Student Organization is a group that celebrates cultural differences and reaches out to the broader community. Our main event is organizing our annual Culture Show. Additionally, members of the groups are able to showcase the uniqueness of their culture. The International Thespian Society is an Honors Society that recognizes theatrical contributions to Long Reach High School. It is open to all members who have earned points by participating in theatre productions inside and outside of school. Students compete in quiz bowls on fun trivia challenges. Latino Lightning is a club for Long Reach students of Hispanic/Latino descent and for other students who are interested. Our goal is to provide an environment that fosters community building among Hispanic students and reinforces a positive ethnic identity. We will promote academic achievement and higher education through fun and informative activities throughout the year. Come join us! The Lightning Leaders is a group of students nominated by staff, self or other students who serve Long Reach High School as school ambassadors. They act as "buddies" to newly enrolled students, showing them around for the first few days, eating lunch with them and in general acclimating them to their new school. Lightning Leaders serve as guides and ushers for functions such as “Back-to-School Night”, eighth grade orientation, awards assemblies, and graduation. Lightning Leaders are chosen on the basis of their character and a strong desire to serve the school and community. The Long Reach Literary Magazine is a student centered publication that highlights the creativity and ingenuity of student work. The magazine includes poetry, short stories, drawings, paintings, and song lyrics that are chosen for their originality. Students can submit to lrhslitmag@gmail.com or can drop off their work at any time to the Media Center to Mrs. Lee. The math team meets every Wednesday to discuss and practice problem solving techniques in a competitive setting. We have 8 competitions each year where we meet with all other high schools in the county. These competitions are very fun and you also get to eat milk and cookies. If you would like to join, please see Mr. Smith in Portable 2. Everyone is welcome. The National Art Honor Society is for students grades 10-12 who have shown an outstanding ability in art and and good character. They are nominated for membership by their art teacher in late winter and inducted in early spring. The NAHS strives to aid members in working towards the attainment of the highest standards in art areas, and to bring art education to the attention of the school and community. To this end, members are required to contribute a set number of service hours to maintain their membership. National Honor Society extols the virtues of academics, leadership, service and character. The current National Honor Society is affiliated with the Grassroots Organization for their service project. National Honor Society for Dance Arts is an honor society for students that currently are taking an upper level Dance Class at LRHS. To be a member they must maintain a 2.5 GPA, no E's, no referrals, and show leadership in their Dance Classes and throughout the school. They also gain points through performances, papers, and a variety of other related dance activities. These points go towards their right to wear a cord for graduation. Point System Records of all dance activities will be maintained by your presidents, Sam Sikorski and Lindsey Brockman. The purpose of the Photography Club is to allow students to explore their creativity through photography. Students can enter into competitions ad submit photographs for contests. The POMS at Long Reach High School work to raise school spirit through entertainment at athletic events and other school sponsored activities. 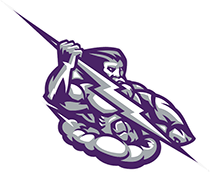 The Lightning Flash seeks to activate the voices of students, staff, and administrative team at Long Reach High School. We hope, in the midst of that endeavor, to expose the diverse nature of this fine school; to keep the pride and integrity that flows within it vivid; and to demonstrate our academic potential in "how" and "what" we write. The Stage Production and AV Crew supports the performing arts group's concerts and productions with lighting and sound assistance. They also work to build the theatrical sets for the Drama productions. The Student Government Association is a group that plans and runs schoole events.